This sewer-line replacement project traverses several natural resource types and is subject to federal, state, and local environmental regulations. The lack of suitable habitat and challenges to fish passage were confirmed during field visits by Confluence biologists. Confluence evaluated potential impacts to sensitive resources such as terrestrial and aquatic habitat and Endangered Species Act-listed species. 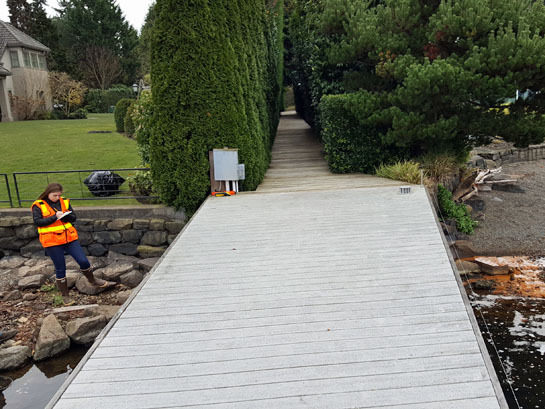 King County Wastewater Treatment Division is upgrading the King County sewer system from the North Mercer Island Pump Station to Sweyolocken Pump Station in Bellevue. Phase 1 included a multi-stage alternative analyses process. 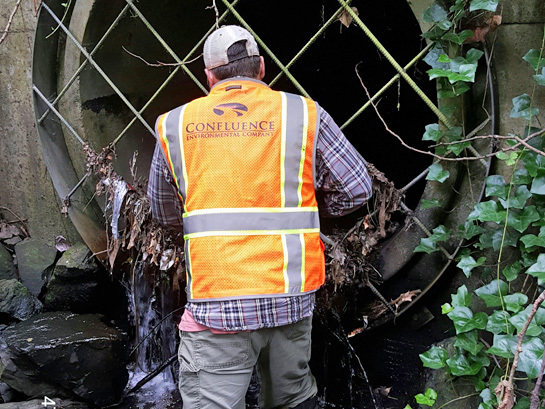 For this project, Confluence provided technical expertise related to wastewater conveyance and infrastructure work in sensitive habitats such as the Mercer Island shoreline, Lake Washington nearshore, and Mercer Slough. Potential impacts to sensitive resources (e.g., wetlands, streams, shorelines, steep slopes, etc.) 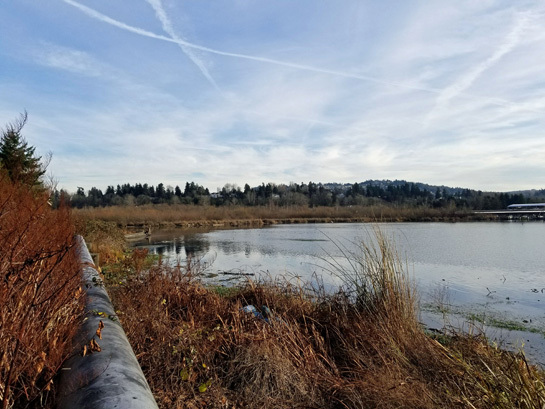 were evaluated in Luther Burbank Park on Mercer Island, and Enatai Beach Park and Sweyolocken Park in Bellevue to determine avoidance and minimization measures for alternative pipeline alignments. Other key steps completed include establishing permitting and environmental criteria to use in screening of alternatives; ensuring consistency of all screening criteria with regulatory definitions (e.g., Clean Water Act 404 (b)(1)) to simplify future permitting efforts; conducting assessments of environmental conditions associated with the alternatives; and developing a permit acquisition plan identifying permitting processes and relative permitting challenges of alternatives. Currently we are preparing environmental documentation and permit applications to address the impact associated with the planned project including impacts to streams, wetlands, and Section 6(f) resources. Confluence’s regulatory relationships and technical expertise allowed early elimination of certain alternatives as well as more detailed exploration of in-water options initially considered non-permittable. This project has included resolving conflicts between project needs and permitting constraints, allowing for cost-/time-effective permitting plans to be developed. Working with project engineers to adjust project when possible to avoid and minimize impacts to regulated areas has allowed project permitting to proceed efficiently.